As Apple continues to move forward with plans to expand its current Cupertino campus and build its new 2.8 million square foot ‘Spaceship’ campus, the company is gobbling up as much office space as possible, in order to host its expanding workforce. Having already contributed to the real estate market in Cupertino, by reducing office vacancy in the city to 5.65 percent in Q4 2011 from 18.67 percent in Q1 2010, Apple has been forced to cast nets further adrift and locate space in neighbouring Sunnyvale. The company has wasted no time signing leases and making property deals in the city; it locked a deal for a two-building campus totalling 108,712 square feet in September 2011, following up with a number of deals to ensure that it had taken more than 1 million square feet of office/research and development space off the market in the area. Similar to its expansion in Cupertino, Sunnyvale’s office vacancy figures have been reduced to around 12 percent, compared with 34 percent in the first quarter of 2010. And Apple hasn’t stopped there. 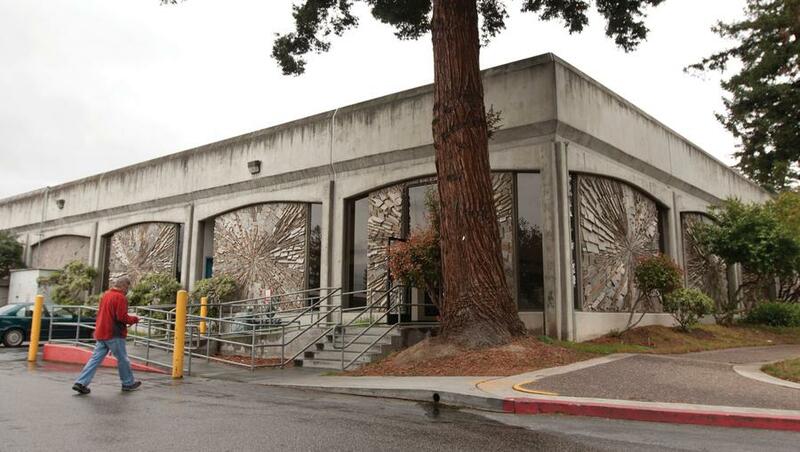 BizJournals reports that the company has just signed a deal to tear down a United States Postal Service building in Sunnyvale, which would could add more than 125,000 square feet of office space for more than 500 employees. It appears to involve Apple tearing down the building and redeveloping it, but given its huge cash reserve, the company would certainly be able to afford it. However, it is interesting that Apple is willing to build in surrounding areas, despite waiting for confirmation to start work on its new ‘Spaceship’ campus. Much of Apple’s recent real estate activity provides temporary homes for its expanding workforce. Apple is still in the planning stage for its new Cupertino campus, but with the mayor of Cupertino already admitting it will not deny the company’s application, it is only a matter of time until work starts to transform the former HP site. 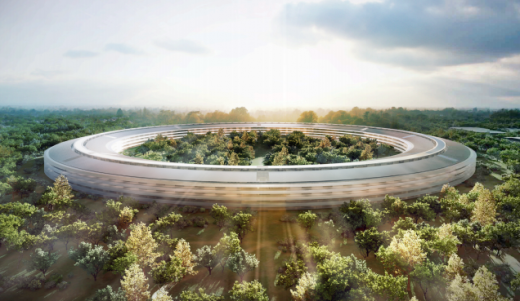 According to the documents filed with the City of Cupertino, Apple plans to mix naturally occurring foliage like field grass with wildflowers and other landscaping elements at its new campus. Some parking will be made available on the surface, but much of it will be hidden underground, preserving the view and the greenery.